People who love casino games can read this and discover the real reason why they are so attracted to them and why they are just so exciting and compelling. The fact that some games are more popular than others is another reason why you would want to read this, if only to find out why but also to find out the reasons behind the "whys". There are several top casino games that people tend to be attracted to more than others and for very good reasons. 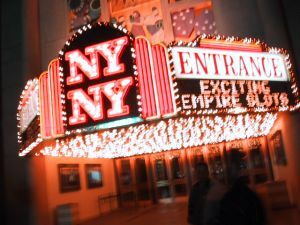 These are the most exciting, thrilling and high energy attractions in any casino, whether it is land based or software based and played on a computer, tablet or smart phone. You are probably already quite familiar with them. They include the slots games, video poker and video slots, roulette, craps, blackjack, table poker variants such as Caribbean poker, bingo, keno and baccarat. Of course there are several others that are equally attractive to players but these generally don't get so much publicity as the main ones. Why do Casino Games Attract Players? First of all, let's look at why certain games attract more players than others. The top of the game table for popularity and sheer player numbers is slots, with very good reason. They have several advantages over table games that makes them so magnetic. Let's take these points and expand upon them somewhat. The first point is arguably one of the most important points for many players in a live casino environment. This is chiefly because there are a lot of people that are new to casinos and they can be simply a little shy of game officials, or feel intimidated by them. By having the opportunity to gamble anonymously, without having to interact with anyone else and to feel within your comfort zone is a major attraction of slots. 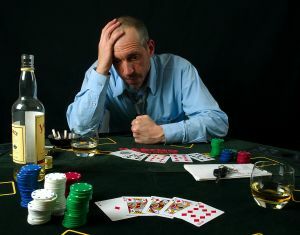 It can feel safe when you're self absorbed in a game and not having to talk to anyone else or ask for, say another card or a change of bet as with blackjack or baccarat pr any of the other card table types. Not needing any specific skill is another draw for many people who simply like to be able to gamble without needing to learn complicated game strategies or betting methods. 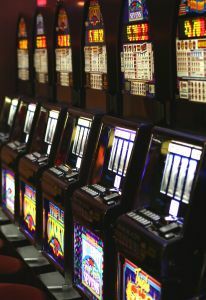 Slots can get more complicated if you choose the bigger machines with more reels and win lines as well as in-game bonus rounds that require you to interact in order to increase your winnings potential. But in the main, most slots are of the simple three reel, single win line variety. These machines only require you to place a coin in the slot, pull a lever or press a start button and watch the reels spin while you hope for a winning line of symbols to drop. The popularity is in the simplicity. By offering players big jackpot win lines, a player can risk a relatively small wager, such as a small denomination silver coin (such as a quarter, or 10p) and be in with a chance of winning thousands of dollars / pounds / euros (depending on where you're playing). People like the idea of a small risk to win a big payout. It's similar to why people play national or state lotteries. Physical slots machines are attractive to look at, hold your attention by displaying an array of flashing or progressively running lights, interesting graphics and emitting lots of sounds that all go together to produce a micro-atmosphere of winning luck about them. These attractions are designed to attract a potential player to the machine and then keep them there by appearing to present a prosperous and lucky situation that people cannot resist. This is one of the reasons why slots can become addictive if you don't have the willpower to walk away after a losing streak. Coupled with the lure of potential big winnings and the almost subliminal suggestion that is you do walk away just now, you could be missing out on the jackpot falling on the very next spin. Lastly, slots don't tend to attract too many onlookers. People may stop and glance at a machine being played by a person if it peaks their interest for some reason. But generally they don't stay long because another more interesting and vacant machine will almost invariably have caught their eye. Unlike some table games, particularly blackjack, craps and roulette that do attract onlookers who like to watch what players are doing, how they're betting etc, slots simply don't because they don't have that element of game strategy or betting strategy skill involved. So you can be fairly comfortable in playing in your own little bubble that no one else will be much interested in invading. In a casino, the card table games like blackjack are highly attractive but for slightly different reasons. Let's take a look at these and why players gravitate to the blackjack tables rather than the slots machines. When you look at how games like blackjack and to a lesser extent baccarat and casino poker variants differ from machine games like slots, video poker, keno etc, you can see a whole different set of attractions that work for a different kind of player. What Makes the Blackjack Table Such an Attraction? 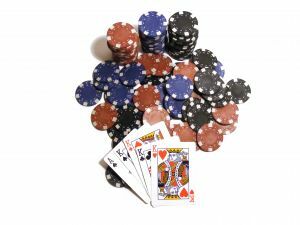 Let's now expand these points and see why they differentiate blackjack and other card table players from slots and video machine players. The skills needed to ensure a higher rate of winnings can be learned by anyone who has a mind to take that route, appealing to people who prefer to attain that skill and then use it to their advantage. There are two main skill sets needed to be successful at playing blackjack in particular. These are game play skills and wagering skills. 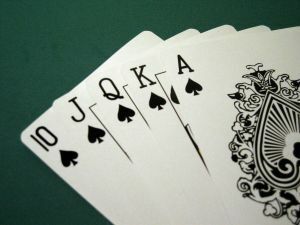 Knowing as much as is possible about game play and the rules is important, because it means a player will not get caught out by a hand they should play when the temptation is to fold, or vice versa. Understanding the rules thoroughly will al so help to avoid situations of rash betting on hands that should not be risked. Let's be honest, there are plenty of players who love being the centre of attention and sitting there at the BJ table with a fat stack of chips and an air of superiority is highly attractive to some players as it is to some onlookers. People tend to gather round tables that have a high roller playing simply because they like to watch someone else do what they can only dream of doing for themselves. Now that might sound a little controversial at first sight. But the reality is that lots of people would love to be able to sit at that table and risk high bets on their hands and not have a care in the world whether they lose, while feeling extremely elated when they win. Following on from the previous point, there are many players who also love the feeling of a one on one relationship with their dealer. They enjoy getting to be on first name terms with him or her and it gives them a buzz when requesting a hit and they can make it appear personal. That scenario is also part of the display for the benefit of their small crowd of onlookers who they believe (and often rightly so) that they are suitably impressed by their confidence in playing and their being on first name terms with the dealer! Another great draw of this game to the skilled player is of course the potential to walk away from the table in profit and to be able to do it on a regular basis. Many professional blackjack players have attained such a high skill level coupled with bankroll management skills that they can make a decent living off the BJ tables. They do this by playing steadily, not risking too much but taking smaller, calculated risks over a long session. This will result in wins and losses, but over the long haul can more often than not result in walking away with more money than they sat down with. This leads us onto the games that come with a huge dose of excitement and attract players looking for thrills, entertainment as well as the chance of winning in style. The two major games in this category are craps and roulette. Let's look at why these two games attract certain types of player and why. Why Does Roulette and Craps Attract Players? Let's take each of these attributes in turn and expand upon them to see what makes these particular tables so attractive to certain players and perhaps less so to others. While onlookers don't actually physically participate in the games themselves, they do add their aura of excitement, anticipation and eagerness to see a winner in action to the overall ambiance of the games. It allows players to show off to their appreciative audience if only for as long as they are winning of course, their winning ways and apparent big game attractiveness. This is especially so for craps where several people will get behind the shooter and cheer him or her on as they roll the dice. If they roll a winning combination, the cheers that go up can be incredibly motivational. Shooters can unconsciously stay "hot" for longer when audience participation is keen. There is no getting away from the fact that craps is probably the most exciting of all casino games, with roulette coming in a close second. The excitement comes in one sense from the onlookers surrounding the table, as well as from the involvement of the croupier or stickman and the whole ambiance of the game itself. The sound of people cheering a well rolled dice or the "oohs and ahs" that accompany the roulette wheel as the ball comes to rest on a number that a player has singled out is a major adrenalin booster for players. 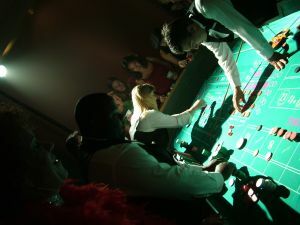 Getting personally involved in a crowd game as the craps shooter does is also highly energising. There is almost no player skill needed to enjoy roulette or craps, although an understanding of the betting rules is necessary to get the most from either game. Let me explain. It takes zero skill to place a chip on a number and let a croupier spin a wheel and inform you if you won or not. It takes zero skill to put a chip on the Pass section of the craps table and watch someone roll the dice while the stickman either takes your chip or gives you more if you won or lost on that or subsequent rolls. But with craps more so than roulette perhaps, it is necessary to know the rules so you can see whether you are winning or not before the decision is made for you by the game official. There are several betting opportunities on both tables, although with roulette is simpler in that the outcome is directly related to where the ball lands as the wheel comes to rest. 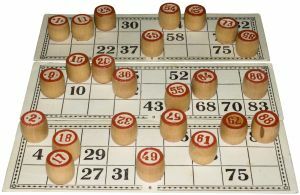 With craps, if a certain number is rolled, you can win immediately (in the case of 7 or 11), or you must wait for subsequent rolls of the dice if a point is set instead. You can choose different bets such as the evens Pass type bets. Or you can go for multiples or individual numbers, similar to roulette. 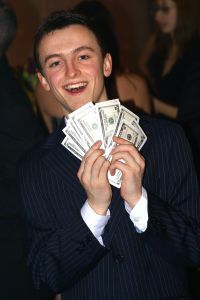 Getting away from the mainstream casino games, there are some players who like to try different things. Keno is one such attraction that, like playing the lottery requires no skill but can produce some impressive winnings for the lucky player. Bingo is another attractive game that is gaining in popularity with players of all ages in casinos, dedicated bingo halls as well as online. Again, it takes no real skill to mark off numbers on a card as they are called in the real life game, and playing online is even easier. Scratch cards are another form of easy to play games that are growing in popularity online to match their growing customer base with lottery scratch cards. Their simplicity is their attractive secret along with the chance of a large jackpot payout on certain cards. These games are attractive because they are presented to the customer as easy ways to win money. They stake is low accompanied by a potentially huge win, which makes their attractiveness all the greater because people like the idea of being in with a chance of winning a large, often life changing sum of money for a relatively small stake. Which kind of game you play, prefer and ultimately win or lose at will depend on your own personality, your preferences and often on how the mood takes you on a particular day. The bottom line with casino games is to enjoy them for what they are, which is entertainment first and foremost with the added benefit of the chance of the win. Stay sensible, keep within your financial means and remember the gambler's most important mantra: "Only bet what you can afford to lose." Now enjoy yourself!